I am unsure how to comment on today’s game. If the intention of Pakistan is to get some match practice then they may be better off playing county cricket. The lopsidedness of the game is evident from the fact that 85% of the runs scored by Pakistan have come from the top three batsmen. The middle order has not been tested. Maybe the Pakistani top order should retire hurt after scoring 50. Faheem Ashraf did extremely well with the ball. My money would be that he does well with the bat in the next match if he gets to bat of course. The standings are below. I have removed Scotland from the ranking. The changes to the Zimbabwe team combined with their poor performance meant that they lost nearly one-third of their points. Imam Ul-Haq’s careless batting and the exclusion of Callum Macleod means that Rohit Sharma and Virat Kohli have made it back into the top 10. The five-wicket haul by Faheem Ashraf catapulted him to second place. Fakhar Zaman has taken the top spot. Eoin Morgan made it into the top 10 because of Macleod being taken out. This team seems weaker with Faheem Ashraf in the side. The choice was between dropping Plunkett or Willey as I could not leave the best-ranked seamer out of the XI. I decided to drop Willey. My ranking is extremely dynamic and sensitive to performances or the lack of it. I look forward to seeing who will keep ping-ponging into the top rankings and who will stabilise themselves. As always I look forward to your opinions. 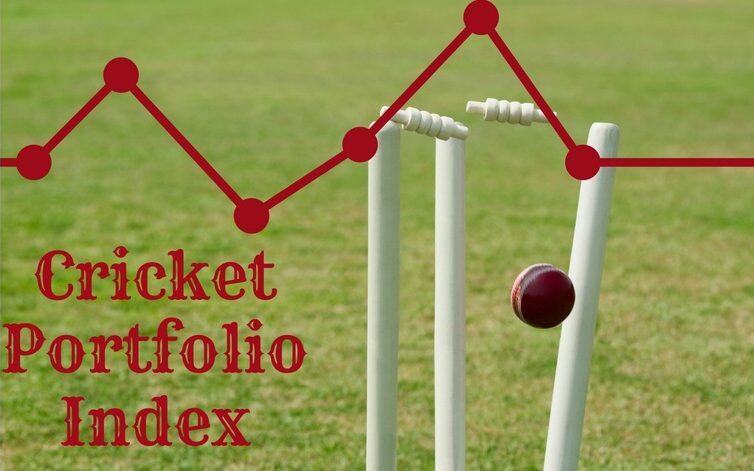 Previous Previous post: Cricket Portfolio Index ODI: England comes back again.